If after 20 years of dialogue we are exactly at the same (if not worse) place as we started at, how are we going to get better? Smack in the middle of winter and in the thick of what is the most polluted season in north India, citizens in Delhi are weighing their options for self-preservation: gas masks, indoor air purifiers, outdoor air purifiers, jet engines to blow smog and pollution away from the city, even a yagna to appeal to the better senses of the gods. All these are Band-Aids that attempt to address the problem because, by their very nature and design, are unable to be a solution given that none of them address the main sources of air pollution. Much has been written about the main sources of pollution. There was a study by the Central Pollution Control Board in 2010 and another by the Delhi Pollution Control Committee in 2016. Both studies pointed at the same sources of pollution: burning of coal, petrol, diesel, gas, biomass and waste and dust (road and windblown). There is no dearth of policy options that have been proposed by various agencies and governments. Now, looking back, have we seen an evolution in thought even as the air pollution seems to be getting worse? Anecdotal evidence and satellite data suggest that air pollution has increased over the years. However, given the piteous state of publicly accessible data, Delhi’s residents are unable to definitively assess what the state of pollution has been over the past two decades. So, let us assume that pollution has been on the rise since 1997 – or at least is as bad as it was then. How has the government responded to this increase in terms of policy? 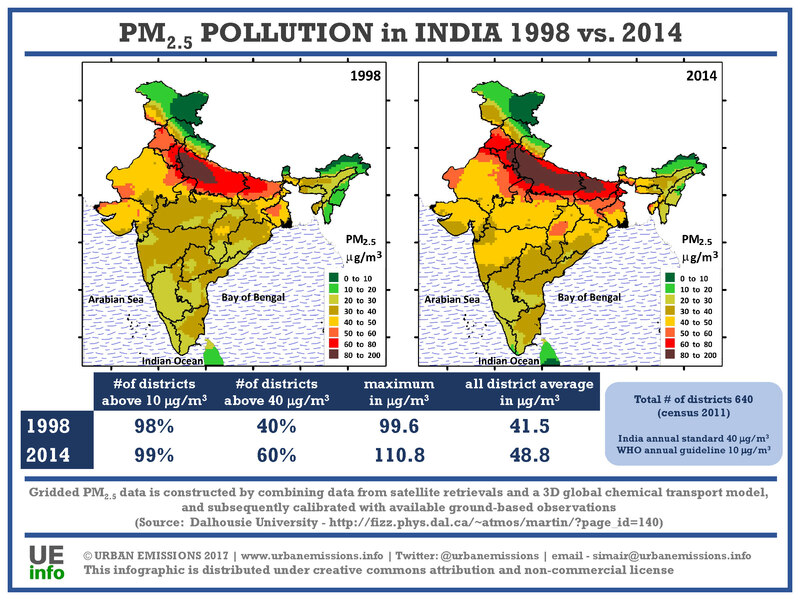 In 1997, the environment ministry released a white paper on Delhi’s air pollution that outlined major sources, their potential strengths to control emissions and a multi-sectoral action plan for the next five years (through 2002). It was during this time that buses, auto-rickshaws and taxis began to run on compressed natural gas (CNG) and small industries, including brick kilns, were relocated to just outside the city’s boundaries. 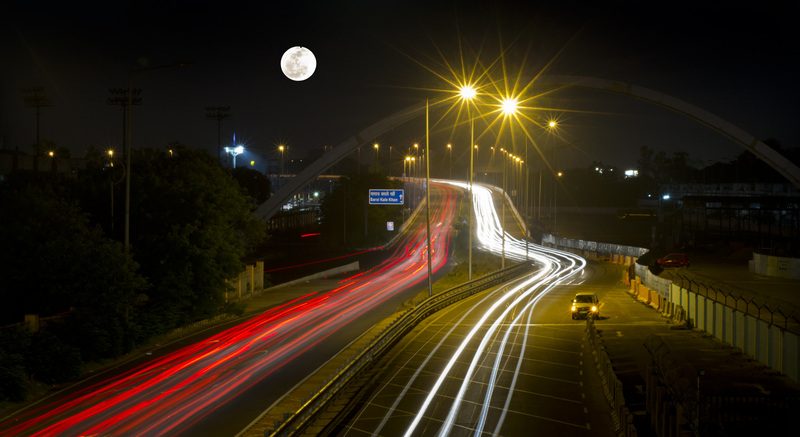 In 2015, the Government of Delhi released a 42-point action plan to address all known sources of air pollution in the city with a timeline spreading from 60 days to a year. By this time, air pollution had become a public-interest issue and not much action had been taken against it. Finally, in 2016, the CPCB unveiled a graded responsibility plan to be implemented when air pollution became simply terrible as in October and November, 2016, after Diwali festivities and open-field residue burning in Punjab and Haryana. As emergency measures, there were two rounds of odd-even car policies with mixed responses (worked or didn’t work), a temporary ban on the registration of large diesel vehicles, an additional environmental cess at the time of diesel vehicle registration, an environmental green tax for trucks entering city limits and a Supreme Court order to ban the sale of fireworks in Delhi. The 1997 white paper also goes into detailing the problems and solutions for water and noise pollution in the city, prepared after rigorous consultations between various ministries, non-governmental bodies, academic groups and civil society groups. Then again, the rhetoric around air-quality management invokes a sense of déjà vu. Since 1997, the issues have been the same (although they are more widespread and intense now), the sources have been the same (but, again, magnified in numbers), the solutions proposed have been the same, the participating stakeholders have been the same, and yet, if anything, the government has only become more defensive about the problem. The key solutions to keep a check on air pollution have been on the table for 20 years with little or no action having been taken. In 1997, the city’s pollution control committee had concluded that the city needs more than 15,000 buses to meet growing travel demand (by 2001). The total number of buses operated by Delhi Transport Corporation (DTC) in 1997 was 3,000. According to the Delhi Statistics 2016 report, for 2015-16, operational DTC buses averaged 3,817 per day. If transport has resided at the centre of many of the city’s pollution woes, then why hasn’t there been a coordinated effort to address it? What are we waiting for? We agreed in 1997 that cleaning the air was going to be a long-term process. If after 20 years of dialogue we are exactly at the same (if not worse) place as we started at, how are we going to get better? We shouldn’t stonewall progress by coming back to square one all the time. As shown in the 1997 white paper, the proposed actions enjoy a good-level of consensus among all political parties: we need more buses, better infrastructure to promote walking and cycling, better solid-waste management; we need to close down or retrofit brick kilns and small industries within city limits, regulate diesel generators and educate farmers so they don’t burn residue in the fields. After 25+ years studying & working with cities of all types across the world, I'm convinced the keys to city success are mindset & culture. Sarath Guttikunda is the director of Urban Emissions (India), an independent research group on air pollution, disseminating air quality forecasts for 640 districts in India.